What if one’s sphere of influence was actually the entire globe? Welcome to the age of influencers, where a single person has the eyes and ears of millions of people on their phones – and double that number if they’re BFFs. We caught up with Aimee Song and Camila Coelho, who love all things girly, like fashion and make-up, but also want to use their influence for girlhood good. The concept of the BFF cover came about in a discussion about the role women play in the success of other women. We, collectively as a group of people, don’t realise it’s a club of any sort unless we are part of the minority or have sensitivities with the minority. 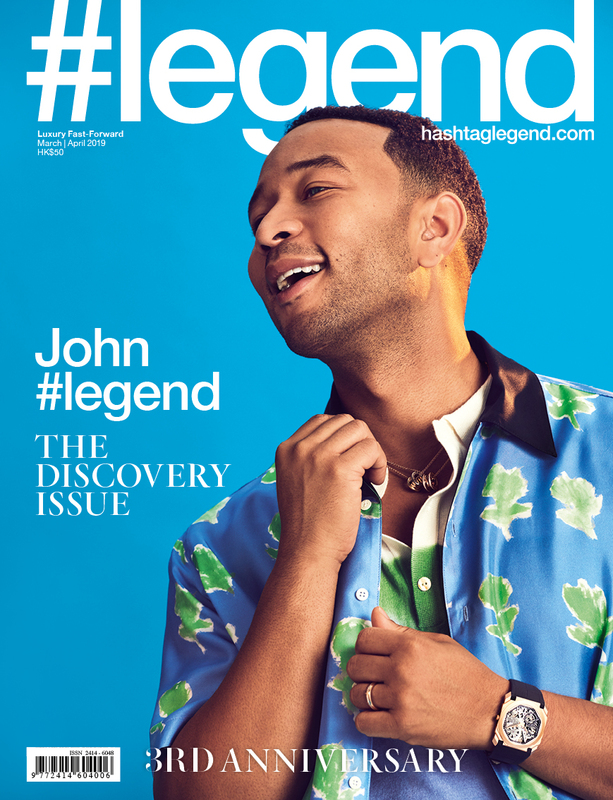 This may seem like a heavy topic for a magazine like #legend, but I assure you this is not – and is actually quite a simple point. What seems like sandbox etiquette that can be nurtured at a young age can get lost as we navigate a competitive life of different hurdles for success. For our first cover story of 2019, we celebrate friendship and love between women, and the study of how the positivity, authenticity and sharing of true emotions can lift people up and energise the community around them. The next task on our hands would be to shortlist a group of women for the cover who would exemplify this. Enter two BFFs: Aimee Song and Camila Coelho. It’s a brisk early morning in Paris. Trying to schedule a time and date on which two of the world’s biggest fashion influencers are available to shoot during Paris Fashion Week isn’t an easy task, to be sure. Aimee generously allows all of us to do hair and make-up in her suite for the ease of logistics. As we set up in the living room, she walks out in slippers and striped silk pyjamas. She’s rolling her make-up-free face with one of those jade face rollers and I make a mental note to put one in my Amazon cart as soon as I can. With a smile, she goes around and introduces herself to the beauty team. “Wow! You’re so pretty!” The doorbell rings and Camila has arrived. As everyone was occupied at the time, I went to open the door. Instead of a hello, I’m greeted with a compliment in her warm Brazilian drawl, which catches me completely off-guard and leaves me almost speechless. Certainly I wasn’t expecting appreciation like that from somebody who is famously beautiful on the internet and has been paid by cosmetic companies to create and endorse numerous products. What needs to be noted is that after this moment, I felt completely unarmed and totally warmed up to Camila. Was this a tactic? Even if it was, it was definitely a good one.They still call themselves bloggers. Both Aimee and Camila started their social media careers with blogs. Aimee would wax on the topic of fashion and lifestyle, while Camila started out as a make-up artist, sharing tips on YouTube for friends before starting her blog; she added fashion to her vernacular not long after that. She attracted so much engagement through her blog and YouTube channel that the brand partnerships started rolling in and before she knew it, she was sitting front row at all of the major fashion shows. Camila’s platforms are in both English and Portuguese. Collectively, with more than 12.5 million Instagram followers and YouTube subscribers today, Camila and Aimee are solicited to create content for fashion retailers, jewellery brands, luxury fashion brands and even cars. They have agents, publicists and teams of people to help them create and run their content. Just to wrap some context around this reality, Camila alone has more Instagram followers than the total reported population of Hong Kong in 2018. “Being mean amongst girls is not cool. It’s not cool to be mean anymore,” says Aimee. Being mean and negative is such a toxic energy. There is this era of social media and public commentary where people feel like it’s okay to say mean and hurtful things to people in the public eye. This is not a new concept and has been an emotional hazard for public figures for ages – but now is a time where single opinions fly.The indication of true love? When there is a genuine feeling of being happy for the successes of others. Aimee has noticed that the industry has changed where people are more collaborative. This wasn’t the case before. Just wanting to help. Camila started as a beauty blogger and YouTuber before she went into fashion; she realised how the power of make-up had the ability to completely change her self-esteem. Her only goal was to help other women feel this amazing sense of confidence. The letters would start pouring in from women who had just had babies and were feeling depressed, and how thankful they were to Camila that they were able to help themselves.“The world doesn’t see you for the problems or insecurities that you have. To be a kind person, you have to love yourself first,” says Camila, as she tries to sit perfectly still for her make-up.The shoot begins. To be fair, we took the girls out of their comfort zones in a few ways: one of the beauty directives was natural make-up with a statement lip, which meant not a lot of the contouring magic that’s such a popular technique right now. I have to say, in their natural state, the girls are beautiful. We are outdoors and being rushed by the producers for the shoot because of time constraints. But the best thing to watch about the shoot was the chemistry the girls have with each other. Even off-camera between shots, the girls are holding hands or have their arms linked. They are constantly complementing one another. Camila can sense when Aimee is unsure about something and will make her feel better, or answers a questions honestly when she needs feedback. I observe this quietly, but secretly wish that all girls were like this with one another because I think they wouldn’t have to waste their energy navigating around negativity. This extra energy could be channelled towards good causes or successes together. The last shot wraps and there’s only one coat for the two girls in their silk tulle dresses. They wrap the single coat around the both of them and walk back to the hotel. As they walk in tandem, giggling with each other, advancing to the destination together in stride, I couldn’t help but think that great progress can be made when there is love.